Today we are going to talk about a very important topic: How to pick out the healthiest peanut butter on the market. Sounds easy right? 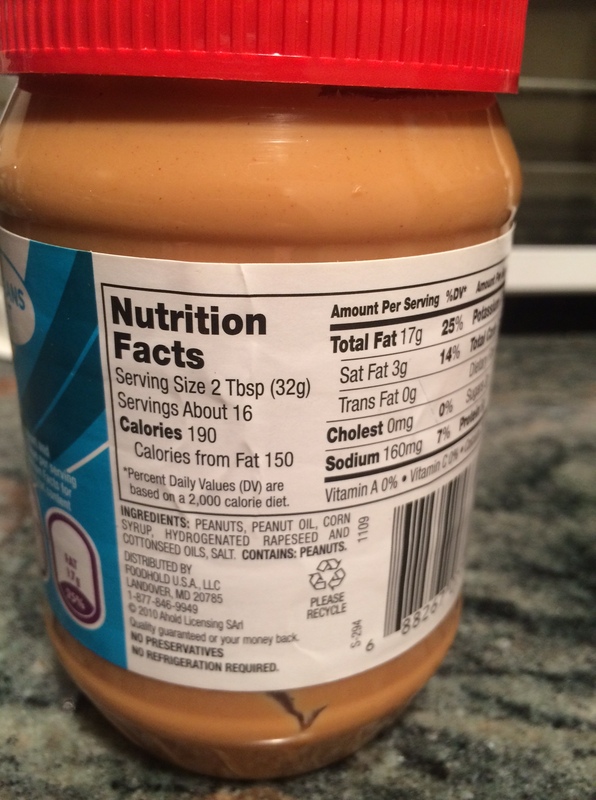 Nuts are considered healthy fats, so it would make sense to think that any brand of peanut butter would be healthy. 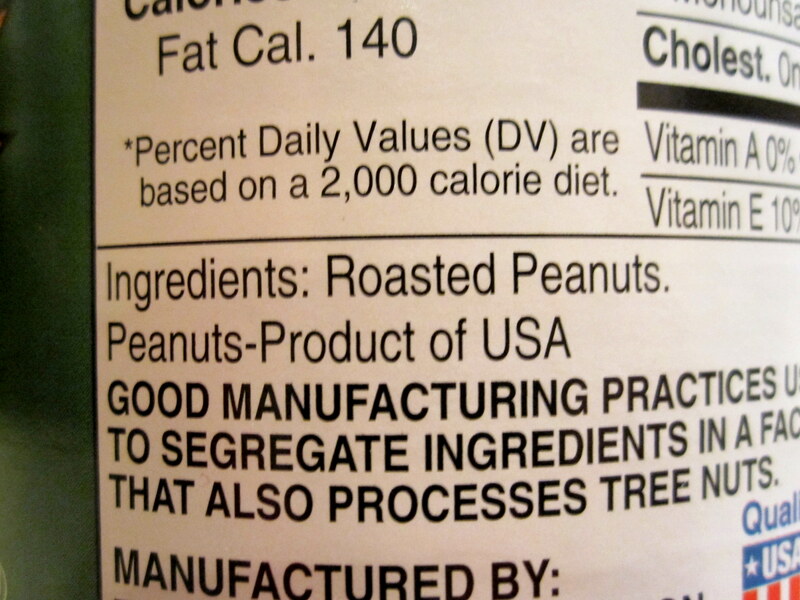 Here are examples of peanut butter companies doing it right. You will see that the only ingredient is what you came for: nuts! 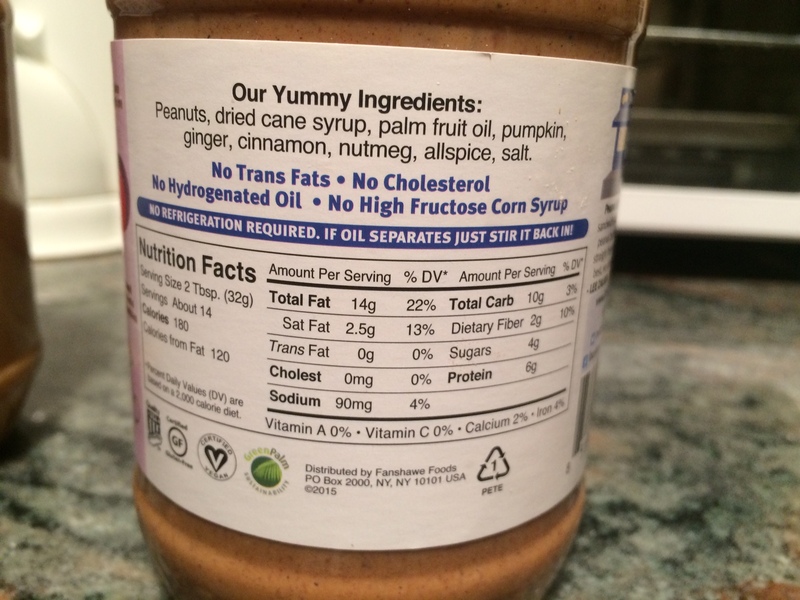 First there is added sugars and oils, and notice the word “hydrogenated”. This is an important word to look for. What this means is that manufacturers have added hydrogen atoms to unsaturated (healthy) fats to turn them into saturated or trans (unhealthy) fats. In this example, hydrogen atoms were added to the cottonseed and rapeseed oils to turn them into a saturated fat. You may be asking yourself why would they do this? Great question! You will notice near the bottom of the container that it says “no refrigeration required.” While this may seem like a great perk, the reason this is possible is because of the hydrogenated oils. Hydrogenation increases stability and shelf life, making it appealing to consumers, but the risks associated outweigh the benefits. While shelf life has increased, nutrients have decreased and intake of saturated and trans fats have possibly increased. This example is of a new pumpkin peanut butter product that I found. While hydrogenated ingredients are not included, palm fruit oil is added. 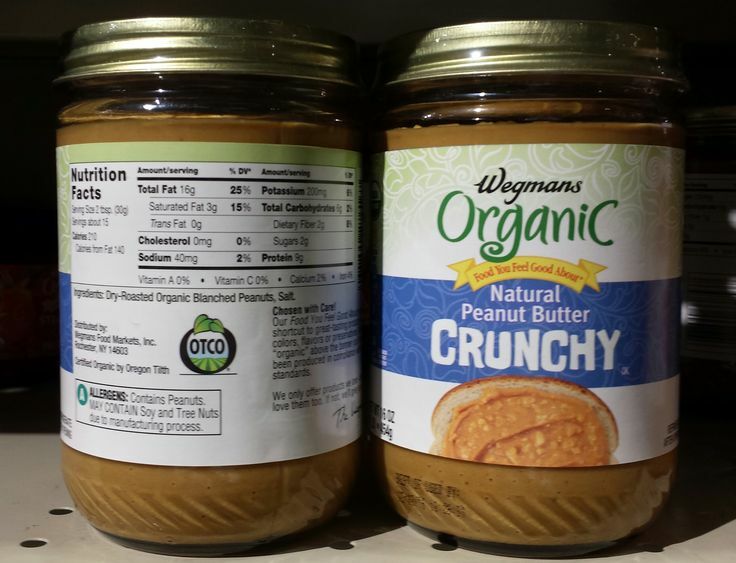 Palm oil is a saturated fat that helps increase shelf life in peanut butters, which is why you will again see that this product does not require refrigeration. 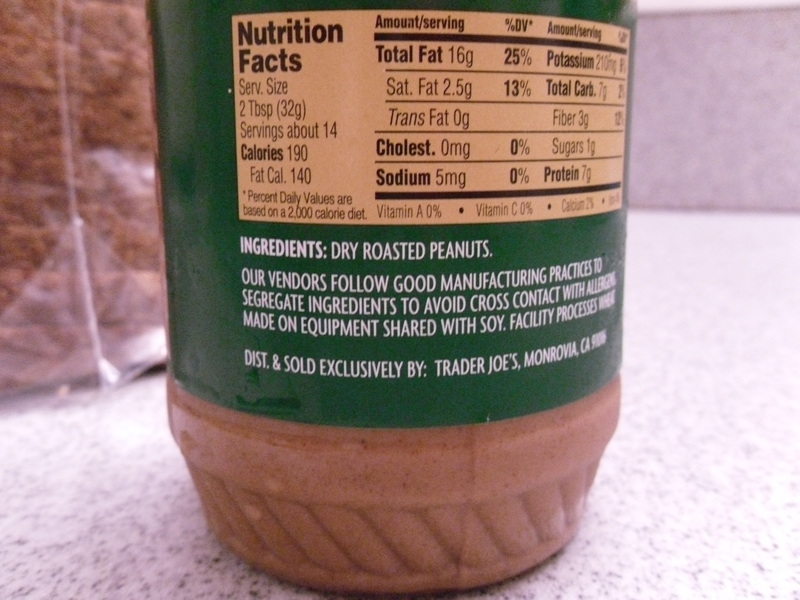 So where can you find peanut butter that only includes nuts? The following options are all natural, providing the heart healthy qualities of nuts that we came for in the first place. Try one of these out and taste the natural flavor of peanut butter. You won’t miss the extra ingredients! 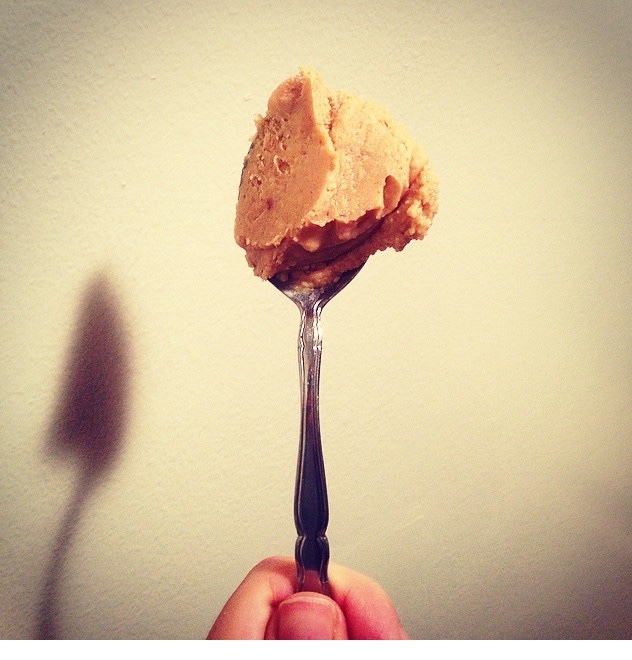 Another simple option for eating healthy peanut butter? Make your own! This literally consisted of dumping a jar of dry roasted peanuts into my blender and blending it. I have a vitamix, which is built for crushing peanuts, but a food processor should have the same effect. Get creative and add different ingredients for a customized version of your favorite PB. Feel free to apply this information to any nut butters you enjoy, whether it be almond or sunflower. Remember that less is more!